Today, we have Nivedita from Nivedita's Kitchen. She loves to write poems. She has got many talents. Now, let us hear from her. Nithu's Kitchen : Tell us about you Nivedita . Nivedita : I was born and brought up in Dharwad, Karnataka, India. I have one younger brother who is the best one could ever have. I hold two Diplomas in Engineering (Civil & Computer Science). Worked as draftsman, on fields and also as Auto Cad faculty for few companies. Married to Mahesh, after 7 years of courtship. After marriage, we were settled in Abu Dhabi and then in Sharjah in UAE. I was working there in Adminstration(totally changed the field) I got 2 lovely little angels, Elder one is Rajul who is 8yr old and the naughty younger one is Phalguni who is 2 1/2 yr. Now, I am back in India, settled here for their education. Nithu's Kitchen : Do you have any plans to restart your career? Nivedita : After coming here, I took up a course in computer hardware. Also, did NTC course, just out of interest. Confused with my future career. Let me see!!! Planning to restart my career (of course not Civil Engg) But the passion for today is trying to bake!!! Nivedita : I love to read a lot of good books. Already, I've read many books in Kannada and English. I'm a trained Bharat natyam dancer, Swimmer and a state level basket ball player. I do paint and write poems. I love Maths and have done my Vedic Maths course. Nithu's Kicthen : Wow! you seem to have got lot of talents. Can you share us one of your poems. Nivedita : Yeah, sure. You can read my Hindi Poem here. Nithu's Kitchen : Thanks for sharing your poem Nivedita. At what age you start to cook? Nivedita : Being a daughter of a working mother, I entered the kitchen at the age of 7. But got chance to explore the food world only after I went to UAE. Nithu : Do you remember the first dish you prepared? Nivedita : I do remember! I learnt to make Upma!! The recipe is here. 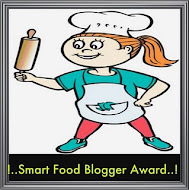 Nithu's Kitchen : What inspired you to start a food blog and Which cuisine does your blog mainly focus? Nivedita : I am a food lover. You can say "I live to eat" I eat any thing in the plate! Jokes apart, I want to introduce North Karnataka food to the world. That thought made me to start a food blog. 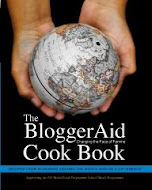 What else could be best than a blog to get connected with the world. Still long way to go as I have not touched the interior parts of North Karnataka and the food in those regions. Hopefully will do that soon. Nithu's Kitchen : Among all the dishes you had prepared so far, which one is your kids favourite? Nivedita : It is difficult to say, as my both kids love my food. Their likings changes from time to time. Now my both kids are behind Plain biryani rice. Nithu's Kitchen : What do you have to share with us. Nivedita : As I told you, I am from North Karnataka, and I started my blog to introduce the recipes from there, I would love to share the recipe of Broken Jowar (sorghum) Ganji which we call as "Jolada nucchina ambali". This is common man's food in villages in North Karnataka. And now, it has become the best food for Diabetic people. It is the best food during summer. You can serve it with rasam, or it tastes great with spicy butter milk. Water - 2 cups to cook the ganji or porridge. Mix the yogurt with little water. Soak the broken Jowar into it. Wash the Jowar and soak in watered yogurt for 15 min to half an hour. Keep the water to boil. When it starts boiling add soaked Jowar, Keep stirring for a minute. Now add Salt, Cumin seeds or hing. Keep on stirring in between and cook till the Jowar is cooked. Jowar porridge is ready to eat. If using only yogurt, add one cup of water with all other ingredients and put in a blender to get the spicy butter milk. If using butter milk, Put all together in a blender to get the spicy butter milk. Nithu's Kitchen : Thank you so much Nivedita. Friends, Hope you all like Nivedita's North Karnataka special Ganji. 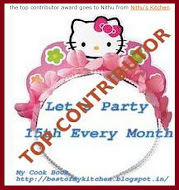 If you are interested to be featured as Nithu's kitchen's guest, please do mail to nithuskitchen@gmail.com. Such a wonderful post...Nitu ! Nivedita, you are a woman with so many talents !! Awesome! Being from Belgaum, I love N.Karnataka food too..simple and healthy! Nice to know about nivedita & super recipe!! Nice to know a bit about Nivedita who I have been following recently. 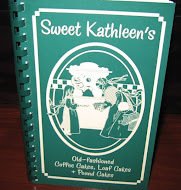 Great interview and lovely and delicious recipe. Its great to know more abt u Nivedita. yummy recipe. 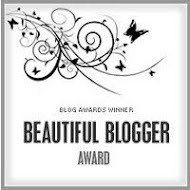 It is sooooo nice to know Nivedita, thanks Nithu for another wonderful guest post. Nithu,One more lovely interview and Nivedita nice to know more about you.Sorghum kanji looks delicious and sure is very healthy. 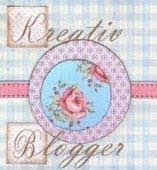 lovely guest post nithu...nice to knw a bit more abt nivedita. Nice to know abt nivedita..I love ambli spl in summer this is perfect. Thanks everyone for such a lovely comments. Nice to know more about you Nivedita.Great to know that u too are a trained dancer! !Thanks Nithu for interview..